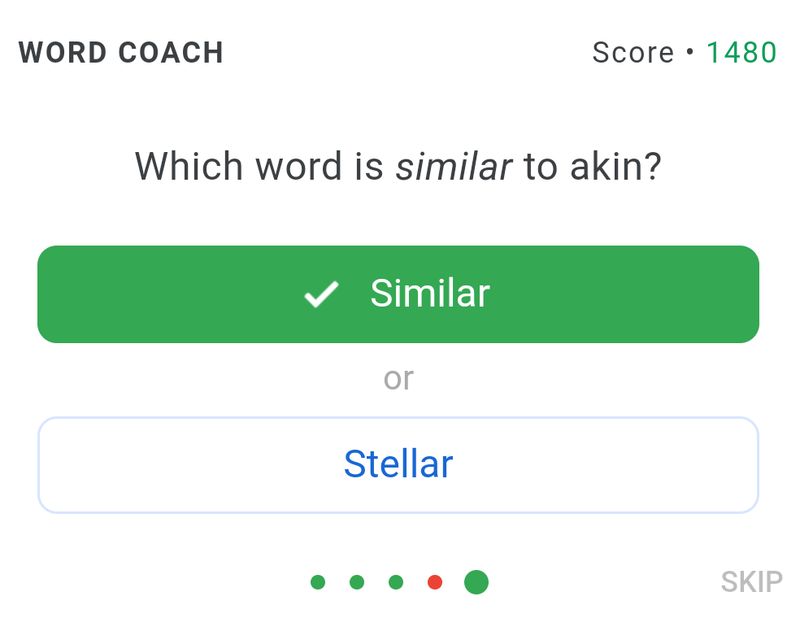 Exclusive: Google Introduces 'Word Coach' To Help Users Improve Vocabulary - AndroGuider | One Stop For The Techy You! While I was doing some reading today, I came across the word 'alacrity' and I didn't know its meaning. I quickly pulled out my smartphone and keyed "alacrity meaning" in Google search. Right below the dictionary card - which stated that alacrity means "brisk and cheerful readiness" - I saw 'Word Coach'. Since I search for meanings of words on Google almost everyday, I was certain that this was a new addition to Search. After doing some further search on Google and discussion with teammates, we concluded that this was indeed a new feature. Google hasn't (yet) made any announcement of such a feature but we can confirm to you that this is new. Word Coach is targeted at enhancing the vocabulary of users. This feature is currently only available for the English language. You can pull out Word Coach by either searching for the meaning of a word or simply entering "word coach" in the Google search bar. Word Coach asks users to identify synonyms, antonyms and recognise images. There are two possible answers to every question, one out of which is correct (of course!). If you choose a correct answer, Word Coach will reward you with points. There is no negative scoring, so you won't loose any points if you mark a wrong answer. Each 'round' of Word Coach has five questions. 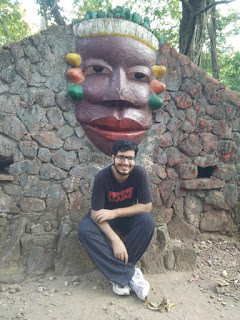 After completing a round with a high score, Google offers the user to play a new round with higher difficulty. To begin with, Word Coach awarded me 120 points for correctly answering a question. Following several rounds, Word Coach increased the awarded points (for each correct answer) to 140. To encourage me to play further, at times, Word Coach offered 500 points for answering a question correctly. If you are logged into Google, Word Coach will also store your scores and it will notify you when you reach a 'personal best score's. After completion of each round, Word Coach tells you how many questions you got right, how much you scored and there is an explanation to each of the five questions. 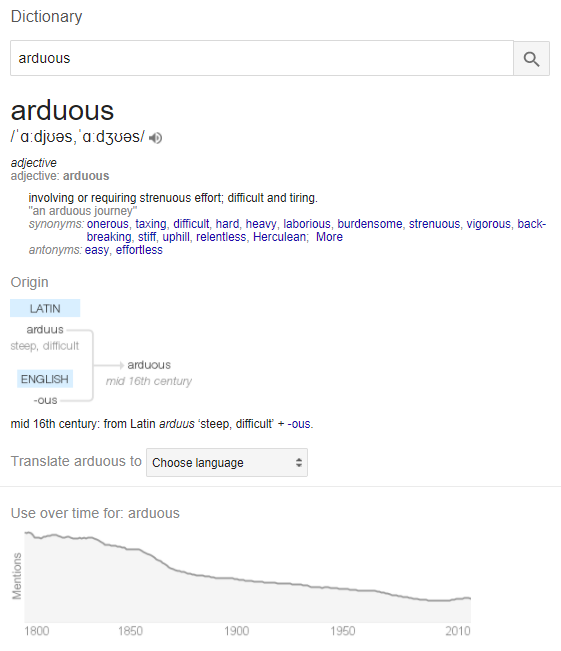 In addition to Word Coach, Google also seems to have updated it's dictionary search cards with more information. The dictionary cards now show origin of a word, along with the option of translating it. There is also a 'Use over time' graph for each word which shows how often the word has been used over time in books uploaded to 'Google Books'. The dictionary search results previously used to have a section for 'similar sounding words' and Google has now done away with that. These changes appear to be visible for everyone. It doesn't matter whether you are signed into Google or not, these changes will be visible regardless.